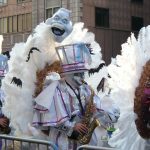 From 14th century Europe to 21st century Philadelphia, mummers have long been associated with colorful costumes, fun and frolic, music, and merrymaking. Their history, however, has not always been one of light-hearted holiday entertainment. Violence. Murder. Mayhem. Many a mummer has been feared over the last 700 years. And for good reason. When exactly the tradition of dressing up in costumes and traveling house to house to bother the neighbors began, no one is quite sure. They can at least be traced back to the end of the thirteenth century when Edward I (aka Edward Longshanks) held a wedding for his daughter at Christmas that included mummers. 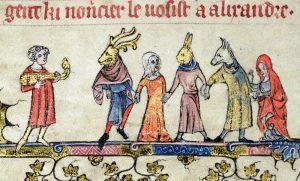 And a 14th century manuscript (http://image NULL.ox NULL.ac NULL.uk/show?collection=bodleian&manuscript=msbodl264) clearly shows such revelers in costume. 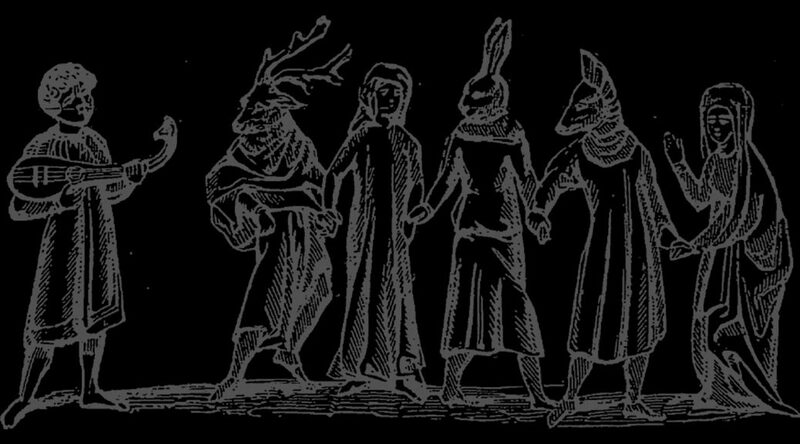 Performing “mummer’s plays” at Christmas (or Plough Monday, which came a bit later in January), mummers — or guisers as they were sometimes called (for the disguises they wore) — would usually engage in mock combat, parading about in animal masks. The practice was popular enough of a tradition to spread beyond the British Isles to other English-speaking parts of the globe — including the new world, as far north as Newfoundland, and as far south as St. Kitts and Nevis in the Caribbean. As time went by, characters like Father Christmas (who may have come into English tradition because of mummers) dragons and the Devil began to take center stage in mummer’s plays — all performed in good fun. Despite one law briefly put in place in the early 15th century to prevent revelers from hiding their faces, mummers, for the most part, were harmless neighbors having fun. One mummer’s verse captures well their intentions. Centuries pass. Mummers as colorful quasi-minstrels and oft-drunken merrymakers become part of British Christmas tradition. But by the middle of the 19th century, they begin to be thought of as more of a nuisance. And in one particular case, as murderers. The alleged murder of a fisherman named Isaac Mercer by a group of men disguised as mummers in 1860 is one of the most notorious crimes in Newfoundland history. So heinous was the crime that packs of mummers began to be feared. A legislative ban on mummers was even issued. It remained in place for over a century. Introducing the idea that mummers represent deviance and lawlessness, this single incident has been argued by some scholars as a turning point in the history of mummery. By the end of the 19th century, mummers began to fall out of favor. By the end of the first World War, most British mummers’ groups (known as “sides”) disbanded. It wasn’t until the 20th century when the tradition found a renaissance of sorts in the United States. In Philadelphia. With its first official parade on New Year’s Day in 1901, Philadelphia began what is now the oldest continuous folk parade in the United States. 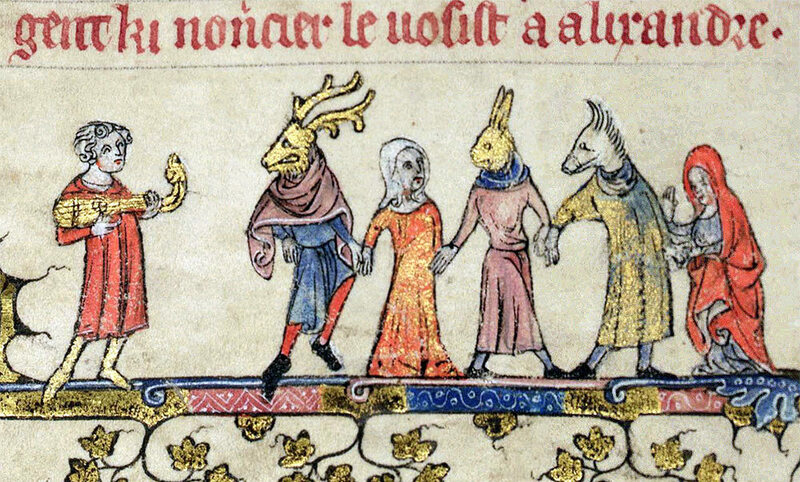 But the mummers of Philadelphia were a far cry from the medieval revelers of old. Made up of various groups — comics, fancies, string bands and fancy brigades — Philadelphia mummers do not go door to door begging for whiskey. Instead, they perform music and acts of comedy along Broad Street with ever more elaborate costumes and productions as the years go by. It’s a proud tradition for many, and an embarrassment to some (https://www NULL.huffingtonpost NULL.com/entry/philadelphia-mummers-parade_us_568c091ce4b0b958f65d18bd). Is there a direct line — and link — between the medieval mummer and his 21st century Philadelphia counter-part? Insofar as the mummer represents joyous abandon and holiday celebration with elaborate costumes and behavior not otherwise so socially acceptable outside of the holidays, then yes. But such a broad definition of mummer would then include the revelers at Mardi Gras and Carnaval — even attendees at modern masquerade parties or the common trick-or-treater. There is something in the human condition that wants to put on a mask and become someone different — all within the accepted social convention of a holiday and/or party. To badly paraphrase Carl Jung, and force an analogous relationship between the wearing of a physical mask and the mask that is our persona — “designed on the one hand to make a definite impression upon others, and on the other to conceal the true nature of the individual” (from his Two Essays on Analytical Psychology, 1953) — perhaps the (dis)guise of the mummer is an attempt to show others someone or something we can only be once a year. The true nature of most individuals is to conform — go to work, consume, go to be bed, wake up, start again. 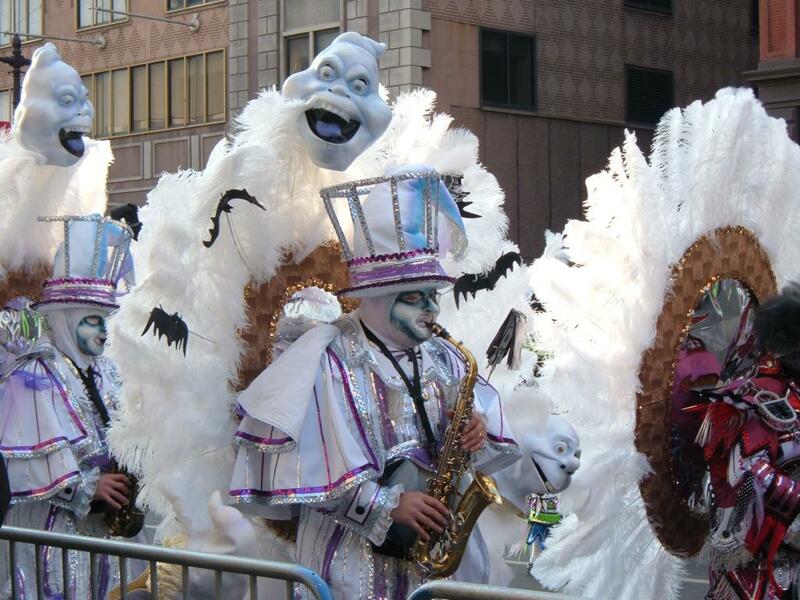 The mummer, however, can be anything he or she wants: comical, colorful, musical, mischievous — even dangerous. If only for one day. A holiday from one’s self.